The General Scholarship Application is only 10 questions. You must answer all questions to be considered for scholarships. Please note that your application is not complete until you have a green check box. Once the 10 questions on the General Scholarship Application are answered, you are automatically matched to scholarships for which you meet the donor’s requirements. No other action is needed for these scholarships. You will be presented with a list of recommended scholarship opportunities. These scholarships require additional information that is not included in the General Scholarship Application. Click on and review each scholarship. If you meet the donor’s additional requirements for these scholarships, we encourage you to apply. Not all scholarships require letters of recommendation. If a letter of recommendation is needed, you will be prompted to enter the individual’s full name and email address. It is an expectation that you respectfully request permission to use an individual as a reference prior to entering their contact information. Once the contact information is entered, an email will be immediately sent to the individual with a link to upload a letter of recommendation directly to your application. You will not be able to review the content of the letter but will be able to see that the letter has been received. By clicking the “Manage References” button, you can also review whether or not your references have successfully submitted a recommendation for your application.You can also re-request a reference from this location. Not all scholarships require short answers. If a short answer is needed, you will be prompted with the question subject and text area in which to enter your answer. We encourage you to use a word processing tool to confirm that your answer is grammatically accurate (spelling and punctuation). You may preview the content of your answer to ensure that no unusual formatting occurs after copy/paste from another program. Once your General Application is completed, your DCCCD personal, contact, and academic information is imported from DCCCD’s Colleague System. To make changes or updates to the information in the imported fields, you must contact the Admissions/Registrar's Office at the college you plan to attend. To check on the progress of your scholarship application, you will need to login to myScholarships and click on the “Home” tab in the upper left corner of the page. 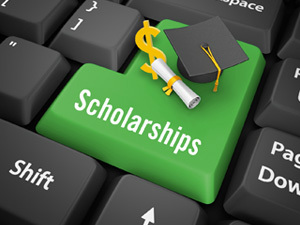 If you are offered a scholarship, you will see a status beside scholarship applications on the “Home” tab displayed as “Offered.” You will also receive a notification message to the email address which you have used to log in. Go to the General Scholarship Application. Please visit the Rising Star Program page on the DCCCD website.